The Bunong ethnic group is a minority group in Southeast Asia. They are also called Phnong, the equivalent of “savage” in Cambodian. 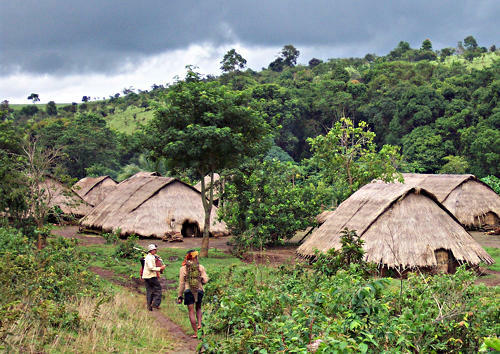 Some 100,000 of them live in Vietnam and 35,000 in the Mondulkiri province of Cambodia. The latter is called the “Switzerland of Cambodia” because of its two lakes and its spruce hills. The Bunong reside on highlands in the east of the country. They live off their own farming and eat rice three times a day. They are known to be good elephant trainers. Their ancestral lands are coveted and often monopolized by multinational companies, especially for the cultivation of the hevea, the rubber tree. The life of the Bunong is marked by animist rituals that are supposed to appease the spirits in order to obtain peace and health. Ironically, it is these very beliefs that hinder health education. There are 2,800 Christians among the Bunong in Cambodia and 40,000 in Vietnam. The release of the New Testament in their own language will undoubtedly be an event, all the more since it is the first publication of Scripture for a Cambodian minority. 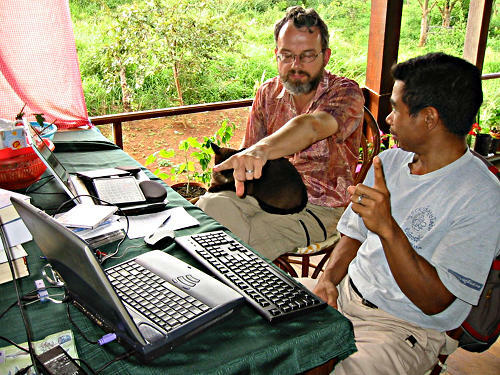 The New Testament needs to be a twofold edition to be accessible to all because the Bunong language has the peculiarity of being written in two very different alphabets. The Latin script is read by older people while the Khmer script, officially recognized since 2003, is read by the young. Compared to the 56 letters of the Khmer, the new Bunong alphabet only has 25 consonants and 17 vowels. MiDi Bible is responsible for the layout of the edition in Latin characters. Thanks to your generosity, we are privileged to offer this service for free! God willing, the copies will be printed in April, just in time for the celebration planned next May in Cambodia. 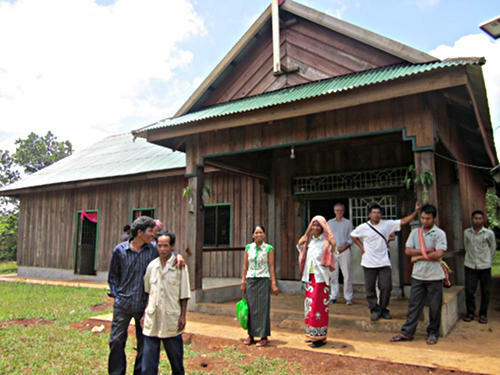 The Bunong Church is delighted at the thought of soon receiving its very own New Testament. While waiting for the celebration, the literacy program continues with the NGO International Cooperation Cambodia (ICC). 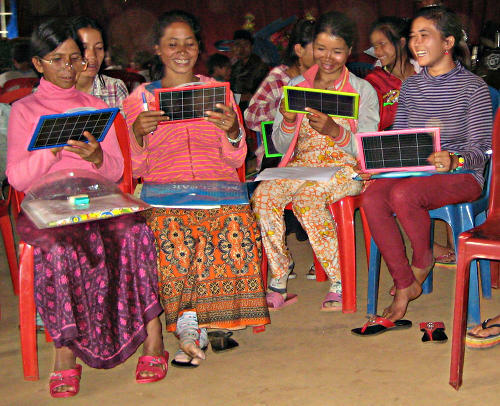 More than five thousand men, women and children have already learned to read and write in Bunong. For them, ICC has produced a hundred booklets in the fields of health, agriculture, general knowledge and folklore tales. New works continue to be published in order to maintain their capacities and interest in reading.